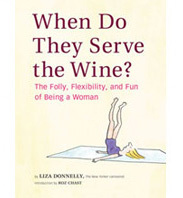 Marketing Madness | When Do They Serve The Wine? Since I work for myself, I have never been fired. There have been a lot of times when I didn’t get the job, and every week I send in cartoons to The New Yorker and they often don’t get bought. So I am used to a certain level of rejection. But I don’t imagine that it is the same feeling as getting fired. And maybe I need a perfume that says: “I’m Funny Even Though My Work Was Rejected.” Whatever it takes to make us feel better, right? 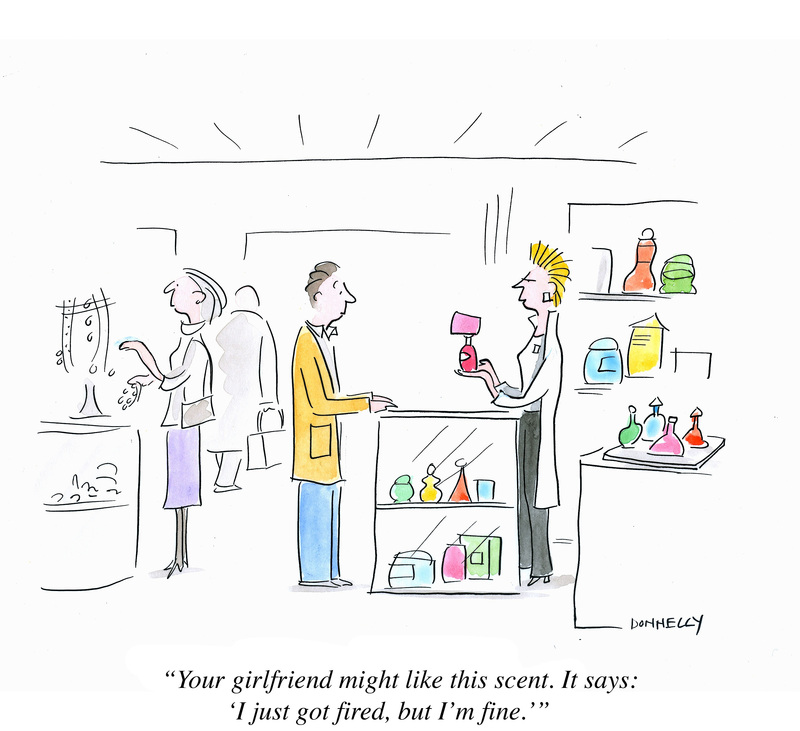 This entry was posted in Random but Relevant and tagged marketers, New Yorker, perfume, product, shopping. Bookmark the permalink.